The idea: Documentation is often lacking in parts of Africa, leading to land disputes because it isn't clear who owns the land. Even when there are records, sometimes they have been tampered with. A record that cannot be deleted, using something called blockchain, could be used to prevent these disputes. Blockchain is a method of recording data - a digital ledger of transactions, agreements, contracts - anything that needs to be independently recorded and verified. What makes a big difference is that this ledger isn't stored in one place, it's distributed across several, hundreds or even thousands of computers around the world. Everyone in the network can have access to an up-to-date version of the ledger. So it can be an open, transparent auditable and verifiable record of any transaction. The application: Cybersecurity company WISeKey is using blockchain technology for the land registry in Rwanda. What happened in 2017: WISeKey announced a partnership with Microsoft to support the Rwandan government in adopting blockchain technology, reports technology news site Cryptovest. What can we expect for 2018: The first step in adopting blockchain in Rwanda is digitising the Rwanda Land Registry, iAfrikan tech blog reports. The company is opening a blockchain Centre of Excellence in Rwanda, reports the New Times, which could go as far as developing a Rwandan cryptocurrency, similar to Bitcoin. The idea: Many people across Africa don't have bank accounts. Mobile money - sending money via your phone - has already proved a very successful alternative to cash. Africa has become the global leader in mobile money with more than 100 million people having mobile money accounts in 2016, according to McKinsey research. Mobile financial services now include credit, insurance, and cross-border remittances. The problem is that there are too many different systems which do not always work with each other. This means lots of people in Africa can't pay for products online. The application: Flutterwave is one of the new innovations coming through. It makes it easier for banks and businesses to process payments across Africa. It lets customers pay in their local currencies and allows people to send money from the US to a mobile money wallet, charging sellers a small service fee, which it shares with banks. What happened in 2017: In the first quarter of 2017 Flutterwave processed $444m in transactions across Nigeria, Ghana and Kenya, it told BBC. From the start the company has processed more than $1.2bn in payments across 10 million transactions, reports CNN. The company received $10m of funding from the US this year, CNN adds. What can we expect for 2018: The new funding will be used "to hire more talent, build out our global operations and fuel rapid expansion of our organization across Africa," Flutterwave says. With that, it hopes that more people in Africa can buy things they are not currently able to pay for, like on online retailer Amazon. As the firm's boss Iyinoluwa Aboyeji puts it: "If we are successful, we might just inspire a new generation of Africans to flip the question from: 'What more can the world do for Africa?' to 'What more can Africa do for the world?'". The idea: There is a global race for commercial drone deliveries of small packages, which have been restricted in the US and Europe because of aviation rules. 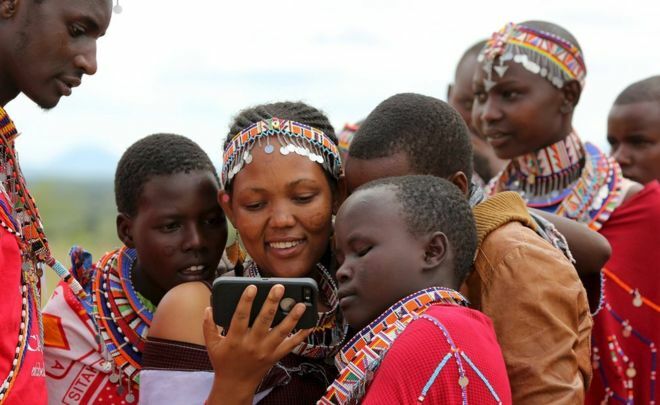 In comparison, some parts of Africa, such as Rwanda, are welcoming drones. The combination of rural roads and vast amounts of land which is not on a flight path make parts of Africa perfect for developing delivery drones. The application: The logistics company Zipline runs drones which can deliver small packages like blood, vaccines and anti-venom. What happened in 2017: The world's first drone port opened in Rwanda in October 2016 and Zipline announced it was going to expand to Tanzania. What can we expect for 2018: Zipline's Tanzania operation is expected to begin in Dodoma, in early 2018, reports Forbes. It will have four distribution centres across Tanzania, offering a range of medical supplies. Forbes says this will be the largest drone delivery system in the world.